Start your CRE brokerage company on the right foot with these best interview questions. These will help you find the candidate who will be a good fit for your business. Today, I wish to share some of the best interview questions to ask to hire the right person for the job. Before that, let me tell you why they are important. Starting a brokerage company is not easy. The work environment is completely different from the other types of industries. You also need a business partner who can help your company grow. In other words, this potential team member does not only produce but also enhances the team or company culture. In my previous blog, I outlined the critical steps I would take during the hiring process. These CRE interview questions will still be a part of it. The primary goal is to make the onboarding process as smooth as possible for you because you already found the right person for the position. Over the years, we have found the best interview questions to provide insight into the key traits we are seeking. To achieve this, we have consistently relied on questions suggested by AVA Assessment (formerly Bizet & Company, Ltd). What were your annual goals for last year? How did you develop these goals, and how did you keep on target? What things did you experience that helped you reach your career goals? What impact did you have on your team in your last position? How do you try to achieve or sustain your success? Have you ever had to persuade a client or group to accept a proposal or idea? How did you go about doing it, and what was the result? How did you get a peer, colleague, or client to accept one of your ideas? What is the most competitive situation you have experienced? How did you handle it, and what was the result? What was the riskiest decision you have ever made? What projects have you started on your own recently, and what prompted you to start them? Operating a CRE brokerage company comes with different unique challenges. Do you ever wonder how your potential employee will handle them? For this, you can ask behavioral interview questions. They help you in assessing the strengths and weaknesses of the candidate. You can also determine if they’re a good communicator. Can they deliver the right message to you and on your behalf? What is the most challenging part of your job? How do you deal with it? 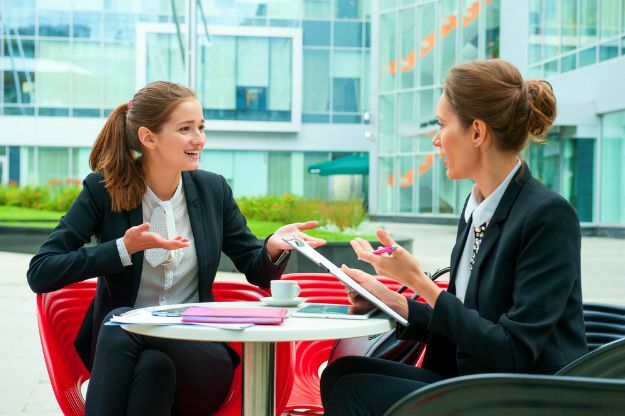 Have you experienced office conflict? How did you deal with it? What are your long-term goals, and what are you doing to achieve them? Some of the best interview questions are hypothetical questions or situational interview questions. As their name suggests, you create situations, whether actual or fictional. Then you try to determine how the interviewee is going to resolve them. Before a candidate proceeds through an interview process, they need to prepare. In the same manner, you should be ready with the best interview questions to ask. The ones above are only sample interview questions. You can modify, add, or remove some, depending on your company goals. Either way, asking the right ones will go a long way in filtering out the wrong candidates. They can help you identify the better prospects and have the opportunity to work with them. Editor’s Note: This article was originally published on February 1, 2018, and has been updated for quality and relevancy. Shoppes at Sierra Vista sell for $2.4M just south of TucsonCommercial Real Estate IBuyers - Will we See Them?